When you start your driving lessons you need a nurturing environment. We've seen time and time again nerves and fear holding back a students progress. It's our responsibility to make sure you are comfortable behind the wheel. Which is why our instructors get that little bit extra training above the standard you'll usually see out there. As a student you are only as good as the training you receive and that training has to be catered to your individual needs. Our instructors passion for driving is infectious and aimed at one thing. You, your needs and affordable quality driving lessons in Enfield. 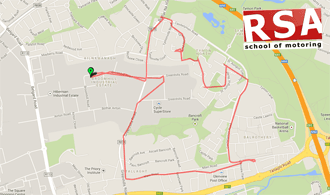 When it comes to value no other driving school in Enfield can offer what we do to our pupils. We have seen pupils learn 3-4 times faster with our home study training. Covering vital driving skills like driving at night, road positioning and traffic progression this training is like having your own driving instructor with you 24/7. When we were in school we all had our favorite teachers, the ones that engaged us and made learning fun. And we can recall the bad teachers that had no business teaching anyone. 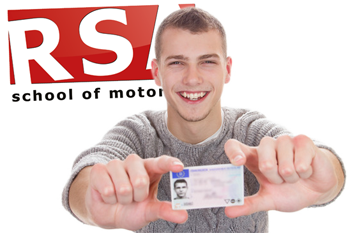 Not all teachers are made equal and that is no less real with approved driving instructors. It is easy to Google 'Driving Lessons Enfield' and find driving instructors near you but which can you trust to best teach you. 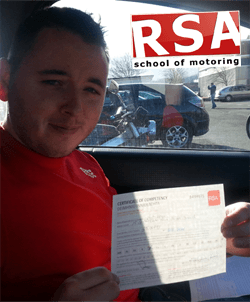 We now have helped countless learners pass the driving test so before you carry on your search we encourage you to consider RSA School of Motoring for your driver training in Enfield. Keep reading to understand why. First you must master the rules of the road, the road signs and skills involved to control a car safely. And then there is learning to pass the driving test. Being allowed to drive alone on Enfield roads is a freedom you must earn and the driving test is your opportunity to do it. And naturally, as with any test, if you understand the conditions and what to expect you can pass easily. What self respecting driving school doesn't offer automatic driving lessons in Enfield? We can offer all our students driving lessons in automatic or manual dual controlled vehicles anywhere in Enfield. Book your automatic driving lessons in Enfield now. Do you want to do your Enfield driving lessons with a lady instructor? No problem. We have female driving instructors all over Enfield ready to help you complete your EDT and pass the driving test. We want your driving lessons to be convenient and easy to do. That is why our driving instructors will pick you up and drop you off from your chosen Enfield locations*, be it work, home or college. Teaching you to drive would be our absolute pleasure. Go on... give us a call now and let's get you booked in for your Enfield driving lessons today. It will be the best decision you've made in a long time.